Naesosa Temple in Buan, Byeonsanbando National Park, is so far the most beautiful temple (ground) I have ever explored in South Korea. If I were not already a religious person, I would have joined the monks (or at least live here ^^) in this temple. The temple area is just perfect! The temple is great: spacious grounds, green surroundings, streams, tall trees, towering rocky mountains in the background. It has everything. 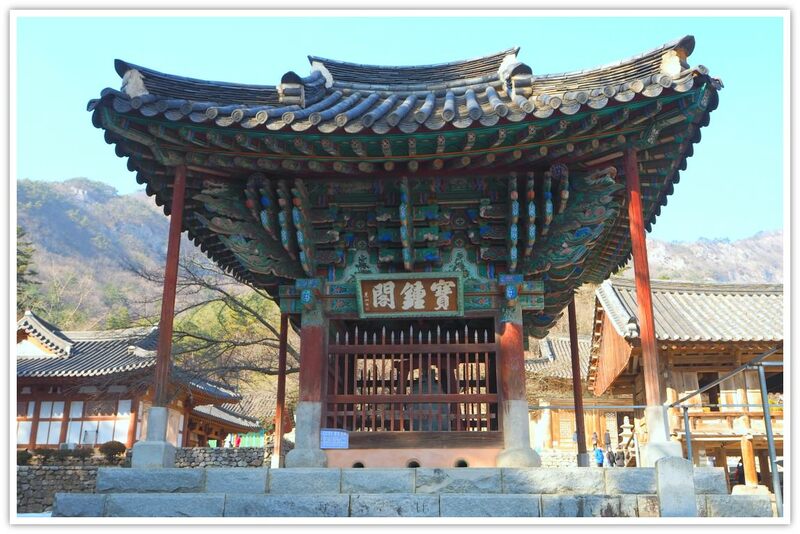 Naesosa has an old temple (built around 1633), a 1000-year old tree, and all relevant Buddhist religious facilities within its grounds, including its gigantic bells. 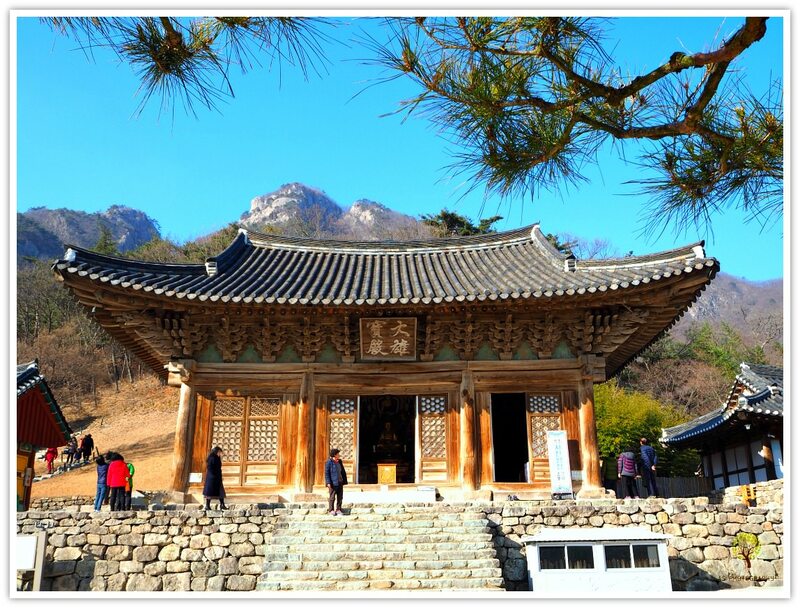 TRIVIA: Buddhist monk Hye-Gu in 633 AD first built the temple during the Baekje Dynasty. 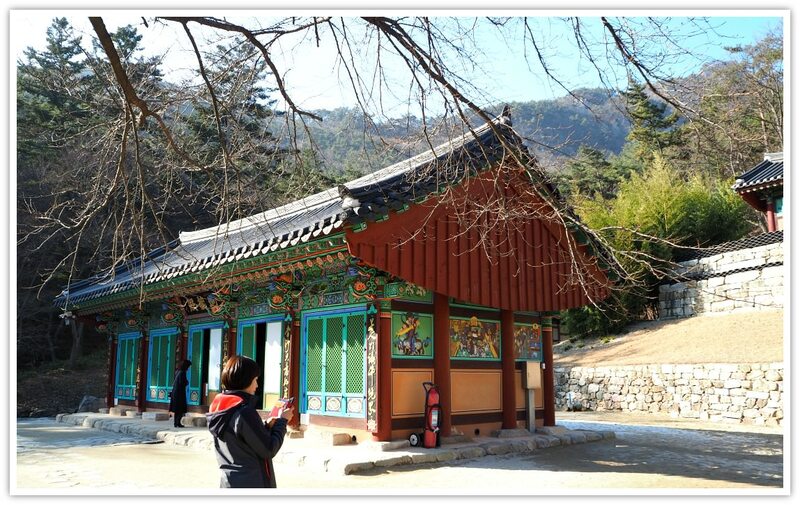 It was rebuilt in 1633 by Monk Cheong-Min during the Joseon Dynasty. The temple area became a protected cultural heritage in 1986. 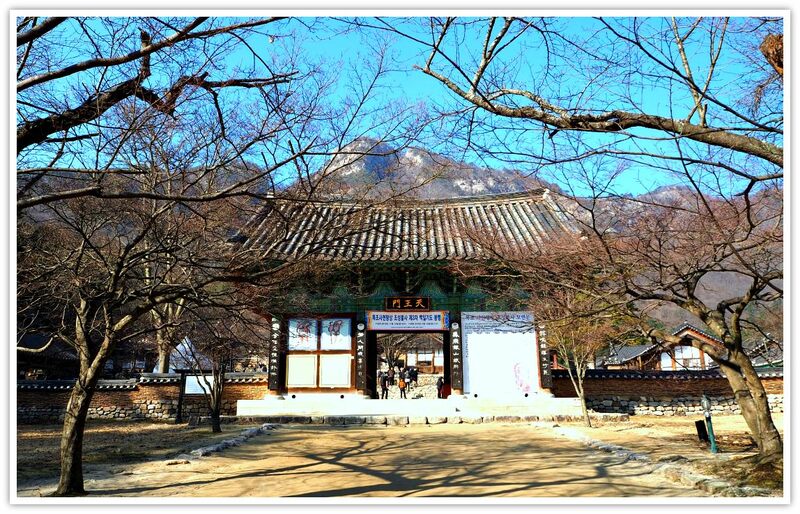 Naesosa Temple serves as a Buddhism religious site. Buddhist pilgrims travel here believing that this holy place has special features that help them achieve their wishes. 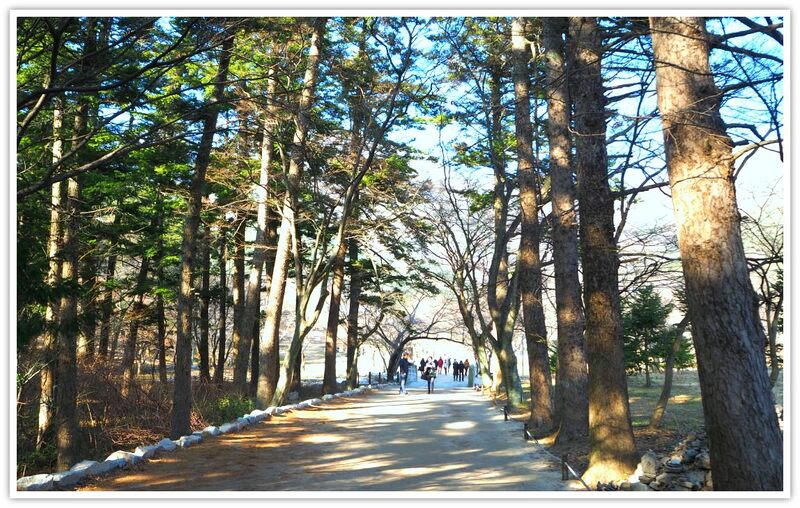 However, being in a strategic and beautiful environment, aside from historical sites, Naesosa became a tourist destination. It is now both a religious and attraction. It entices thousands of visitors all year round. More so during the spring season when the flowers of cherry blossom trees decorate with their soothing whitish and pinkish colors the path leading towards the temple. Visitors also love to see the temple during the winter season when everything is covered with white snow. During summertime, people come to experience the lush green surroundings. They come down after hiking the mountain tops. Alternatively, they start from here then hike the mountains of Byeonsanbando National Park and come out towards the panoramic seaside of the West Coast. Even before entering the temple area, you will already be greeted by the intricate art of the entrance gate. 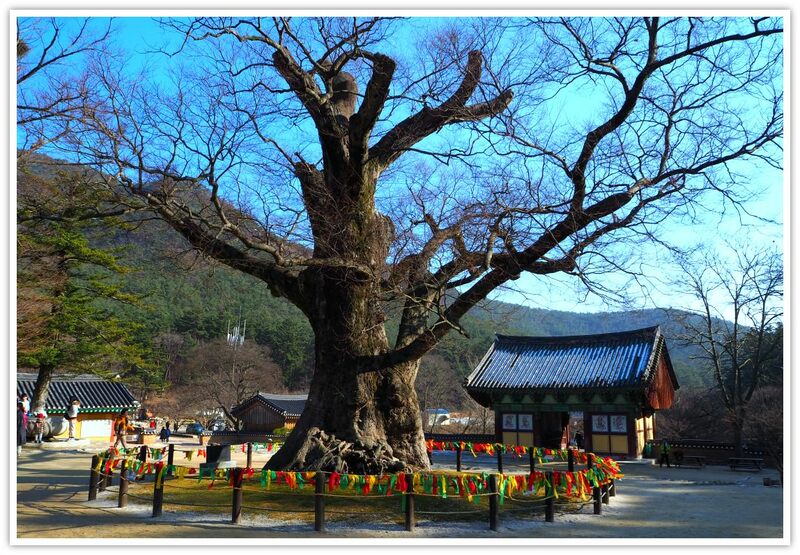 Don’t miss to check out the two old trees (around 700 years old each) located right before you enter the gate. 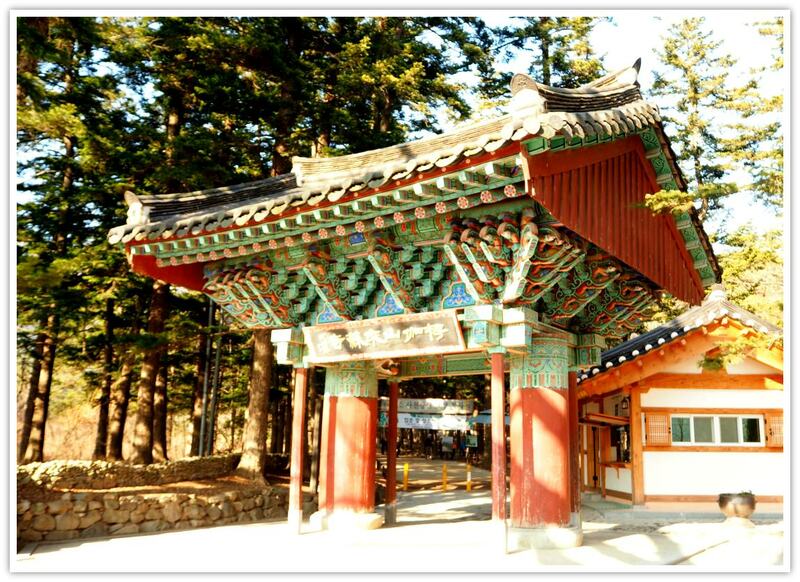 After passing through that beautiful gate, you will be welcomed by the tall fir trees. They seem to look like bowing towards you walking along the path leading to the temple. Then after passing over a small granite bridge (see the pond on your left), you will notice the shorter trees: Cherry Blossom Trees. You will certainly recognize them as such when you come during the spring season (blooming period). 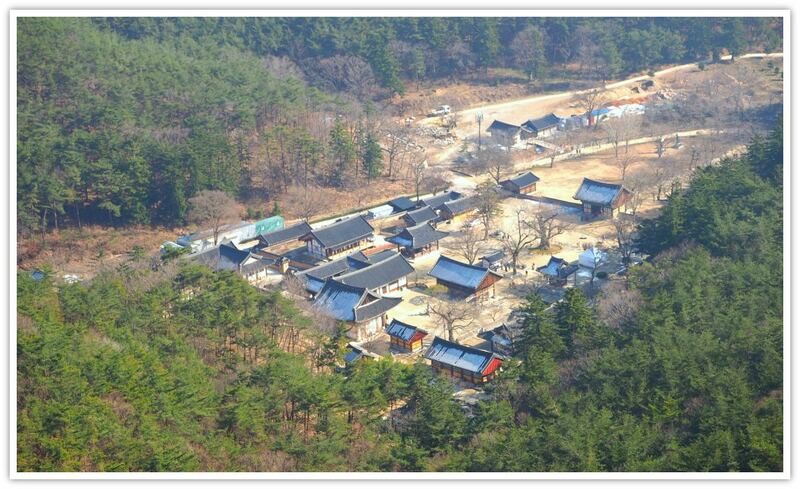 Thousands of visitor flock Naesosa Temple especially during the spring season to enjoy the Cherry Blossom flowers while at the same time visiting the temple. At the last cherry blossom tree, you will be passing through another gate. This is not an ordinary gate. Just like most Buddhist temples, this gate is being ‘guarded by four gods.’ They look scary to children (hope they're not scary enough to you!). This tree is the oldest in the temple area and believed to be where prayers by the monks were mostly offered. The tree is about 1000 years old and is the living witness of whatever happened in the area. It is about 20 meters tall and around 7.5 meters in diameter. The tree was designated as national protected treasure in 1982. Naesosa Temple monks take care of this tree. You would agree with me that monks are the best protectors of all living things, right? This bell which was made in 1222 originally had been placed at Cheongnim Temple of Naebyeonsan but was moved here in 1850. This 103cm high, 67cm wide and 420kg weigh bell contains the typical style of the bell during the end of the Goryeo Period. The ring hanging a (the) bell has a carved dragon, and triad Buddha statue is engraved on the center. While the principal Buddha on the center is seated on a lotus flower, two Bodhisattvas on either side are standing. On the upper and lower part of the bell, magnificent plant shape is inscribed. The pointed lotus flower pattern like a sunflower is where people strike the bell. Not only does the delicately and realistically described bell follow the type of the Tongil-Silla period, but it also bears a marked resemblance to that of the Goryeo dynasty bell. It is the temple where you are supposed to ‘get rid of your worries.’ It is a temple of solace especially when you only listen to the rustling sounds of the bamboo trees nearby. Great place for meditation, if you prefer. The temple does not only welcome Buddhism believers but also those who are interested in learning more about Buddhism’s practices and philosophy. Most of those who take the ‘temple stay’ experience are foreigners. You would need this refreshing water after your hike especially during summertime. I tried it, and I was feeling not only refreshed but also spiritually touched. You will find this place somewhere in the middle of the temple area. Such blocks are used for offering prayers among believers. You may write on the block your wishes or prayers and pay some amounts to the temple. Same goes with the candle. However, the candles are offered (I think) inside the main hall (the oldest temple). This 346cm high pagoda which was built during the Goryeo dynasty shows the style of the Silla Kingdom. Its support was (is) made of one stone. On every floor of the central portion, one stone was used, and pillars are carved on each side. The higher it is, the more drastically it diminishes. Because the slope of its roof is steep, this pagoda gives a sharp impression. It is designated as Jeollabuk-do tangible cultural property. This is the center of attraction. It is also the center building of the temple. This main hall called “Daeungbojeon” is an art masterpiece decorated with intricate designs and amazing colors. The doors of Daeungbojeon features lotus and chrysanthemum flowers which enhanced the beautiful element to the whole structure. This is the main sanctum where Sakyamuni Buddha on center with Samantabhadra on the right and Majusri on the left is enshrined. 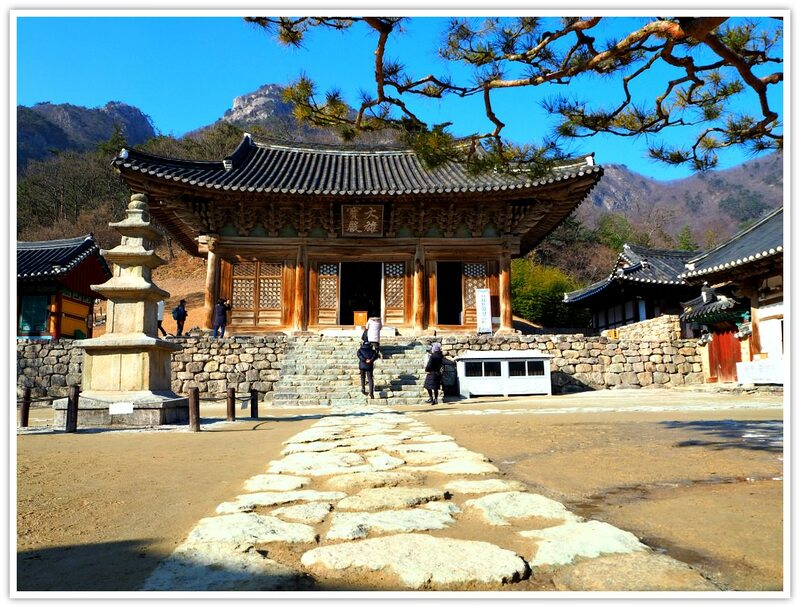 It was built of only wood without nails at the end of the Joseon dynasty. The rips of the lattice door, which are embroidered with lotus flowers and chrysanthemum flowers, remind one of a splendid flower garden. However, the only shadows or diamond-shaped rips are seen from the inside of the sanctum. It portrays a splendid feeling without seeming gaudy, and seems compassionate rather than grand. 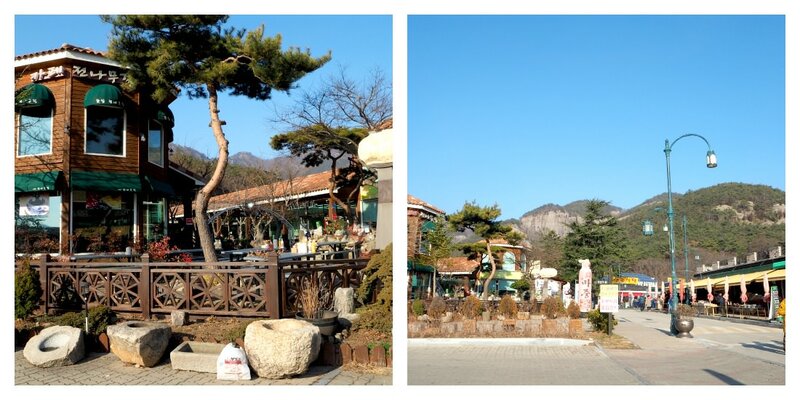 The Merciful Goddess pai(n)ted behind the statue, is the largest of its kind in Korea. In the temple, any visitor can explore most of the structures, except for some private areas. Washrooms are also available inside the temple grounds. Parking area. It is available outside the temple area. This facility is being managed by the local authorities, and parking fees will be collected per hour and total time you used space for your vehicle. Also, the rate depends on the size or kind of vehicle you are parking. Before entering the temple gate, you will find yourself among a busy pathway. Along the sides of this pathway or street, shops, restaurants, cafés are available. Local, traditional, and some fusion food and drinks are available. Most mountain hikers stop by at any of these places to relax, replenish or spend time with friends or family. Yes, some buses ferry visitors to this area. This is where is left the place for Buan Bus Terminal. You can also start your hike from here and cross over the mountain and get down and hike towards Byeonsan where you can catch another bus for Buan-gun (county) where you can take a bus for other cities and provinces. Thanks for reading until this part. Hope this is helpful to your search and travels. Enjoy the temple when you do!